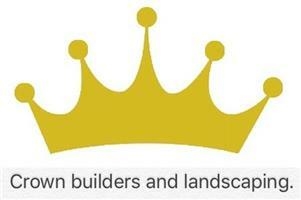 Crown Builders and Landscaping - Driveways/Patios/Paths, Landscaper based in London, Greater London. Crown builders and landscaping is a family run business with over 15 years experience. We have a vast range of experience in hard and soft landscaping. We undertake all aspects related to landscaping, providing quality driveways and patios as well as new lawns, fencing, patios and paving gravel driveways new turf laid, garden clearance brick work, raised beds, footpaths concrete bases etc. We also undertake all types of general building, maintenance, renovation and refurbishment. all types of redecorating including end of tenancy, painting and decorating, upvc guttering fascias and soffit, drainage. We aim to use the best materials possible for the job at hand. We endeavour to accommodate all budgets. We listen to our customers requirements and offer advice and ideas in order to achieve the best possible results for you the customer.We are hardworking, trustworthy and reliable. We offer free advice and free estimates and most importantly competitive prices. No pushy salesmen. I aim to give you a quote within 24 hours of viewing your project.